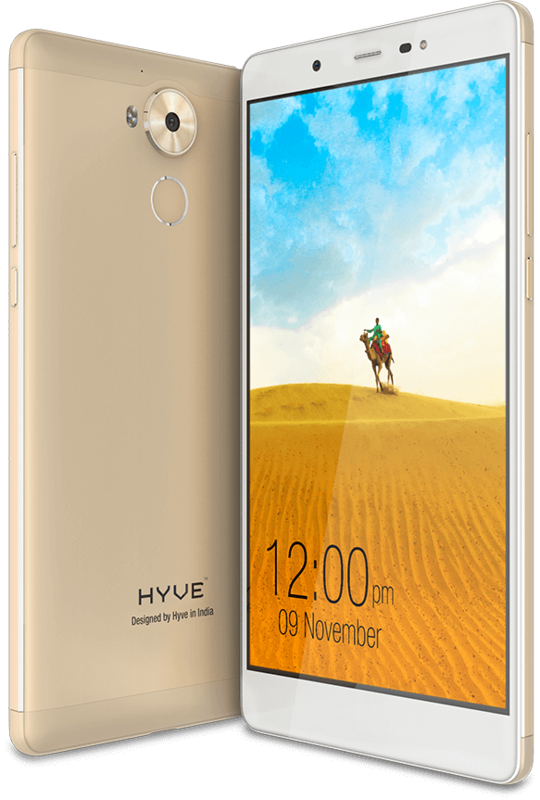 Home spawned Hyve Mobility, which drives inspiration from beehive, has introduced its new flagship smartphone- Hyve Pryme in the country. The dual-SIM device features a 2.3 GHz deca-core MediaTek Helio X20 processor, 4G VoLTE capability with a 5.7-inch full-HD (1080 x 1920 pixels) display. Sporting a 32 GB of inbuilt storage, which is expandable via microSD card (up to 200 GB) the smartphone is coupled with 4 GB of RAM. Running on 6.0 Marshmallow it is supported by a massive 3500 mAh battery and sports an all metal unibody design.The camera options include an 13-megapixel rear camera with dual-tone LED flash, and an 8-megapixel shooter at the front equipped with LED flash. If company claims are to be believed the camera is best in class supporting HDR photography. The smartphone available in champagne variant houses connectivity options as 4G VoLTE, Wi-Fi 802.11 ac, Bluetooth 4.1, GPS, and USB Type-C. It also boasts of an IR blaster for remotely controlling devices. Tri-cluster technology allows the smartphone to multitask efficiently by shifting workload from one cluster of cores to another. This results in delivery of an enabling computing performance with conservation of battery power. There is a provision of BluLight Defender for reduced eye strain during nights and Miravision for an enhanced display experience. Hyve Pryme developed in collaboration with MediaTek, will be available for sale exclusively via Amazon India. Pre-registrations will open starting November 20.